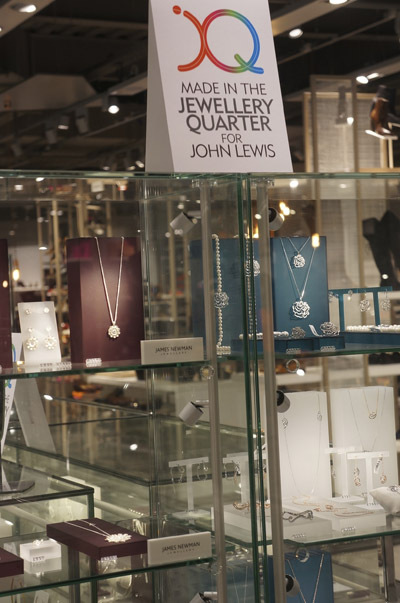 Assay Office Birmingham is celebrating the news that leading designers from the Jewellery Quarter have their work on sale at Birmingham’s brand new John Lewis department store, which opened in the Bullring on Thursday September 24. 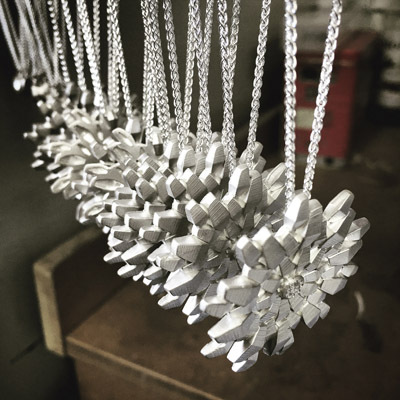 The Assay Office was instrumental in the development of a project that has seen a select group of Birmingham jewellery designers create exclusive collections to be sold in store. Working closely with Jilly Cosgrove, founder of the initiative and board member of the Jewellery Quarter Development Trust, Assay Office Birmingham was integral in connecting buyers from John Lewis Partnership – a customer of the Assay Office – with Birmingham jewellery designers. 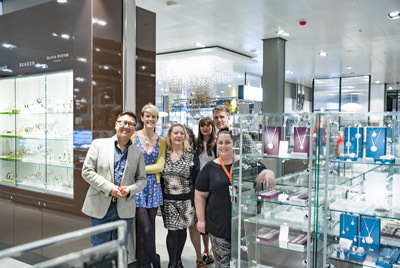 Together, Assay Office Birmingham and Cosgrove created a special brochure of local jewellery designers that was presented to the John Lewis team. This was followed by an exhibition of Birmingham jewellers’ work where the John Lewis buyers were able to view the collections in person. Kicking off with designers and AOB customers James Newman, Kate Smith, Becca Williams, Rhiannon Lewis, Collette Waudby and Fei Liu, the John Lewis store will operate on a six-month cycle, selling the work of various designer-makers from the Jewellery Quarter. The initiative has been created to both celebrate and support local independent designers, with more than 500 pieces of jewellery from the six designers set to launch in store. James Newman has designed an exclusive range of limited edition pieces for the launch. Newman graduated from the Birmingham School of Jewellery 18 years ago and now has his own shop on Vyse Street. James’ collection of 180 pieces will be exclusive to John Lewis. Kate Smith, from Stourbridge, whose designs were also chosen, believes her jewellery will be perfectly placed in John Lewis. Collette Waudby who is the current British Jewellers’ Association Jewellery Designer of the Year and former graduate of the School of Jewellery. Becca Williams, Rhiannon Lewis, Fei Liu make up the rest of the list.